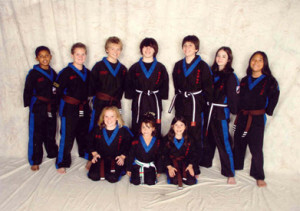 Woodall’s Self-Defense has a program that is developed especially for children ages 5 and up. Our programs are not only fun and interesting, but they have a foundation in teaching theory that is used by elementary school teachers and other professionals working in early childhood education. We teach non-violent resolutions to the types of conflicts that children might encounter at school or with playmates. This helps children learn that there is a difference between conflict and actual self-defense from violence. Yello Dyno curriculum teaches safety to children and parents in a fun, non-fearful way. Visit their web page for great parent information! The second part of our program focuses on teaching children how to avoid every parent’s biggest fear: kidnappers and/or sexual predators. Children are taught to look out for the types of tricks that are used to gain their trust and put them in a situation where they can be victimized. 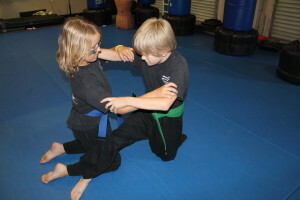 Some of the self-defense techniques taught to the children are specifically designed for when someone is attempting to pick them up and carry them off. 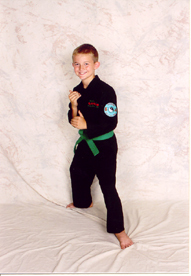 We teach our child students that respect and self-discipline are important qualities to develop not only for self-defense, but for their futures as well. Students will develop a level a self-confidence that will guide them through life’s challenges. We support that development by encouragement and positive reinforcement. Students are taught to work for goals and therefore get a sense of accomplishment from meeting them. Academics are looked upon highly and all students are asked to maintain good grades at school. For this program, call 916.660.9311 for a free lesson for your child. “Raising Safe Kids in an Unsafe World,” by Jan Wagner. Self-Education for Parents: For good, solid, current information on protecting your children we recommend the Yello Dyno website. You can subscribe to their e-zine for safety updates, order the great collection of Yello Dyno Special Reports, and read the book Raising Safe Kids in an Unsafe World, by Jan Wagner.